Here’s a list of the top best Samsung Galaxy S9 screen protectors (also S9+) which you can buy and protect your device’s display. The Galaxy S9 and S9+ feature gorgeous displays. So good in fact that even the tiniest of scratch would spoil the beauty of such a wonderful smartphone. 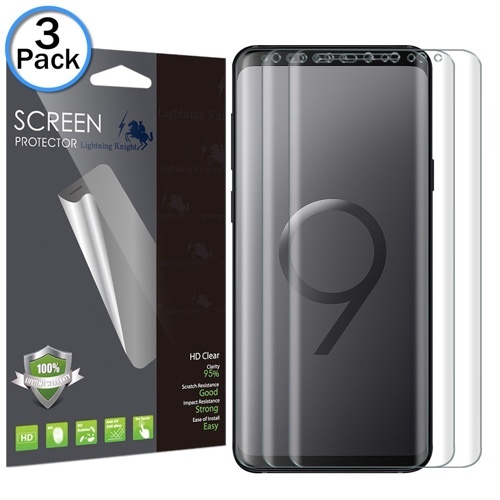 But thankfully, there are Galaxy S9 screen protectors available right now that are bound to provide security against everyday scratches and whatnot. 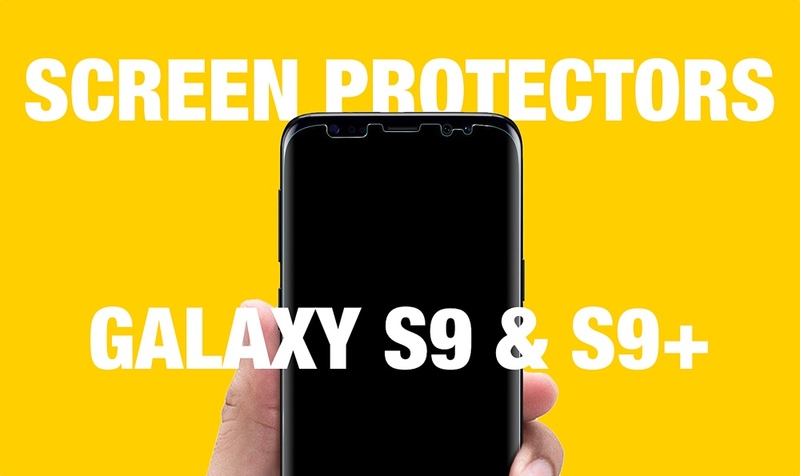 All of these protectors are available for both the Galaxy S9 as well as Galaxy S9+. So, let’s dive straight into the list. Note: All these protectors might not be available to purchase immediately. Most of them will ship later this month when the smartphones are available through retailers. But you will be able to place your orders in most cases so you get your product on time. Also, our list of Galaxy S9 screen protectors will expand over time, so bookmark this page for more great options. The Spigen NeoFlex is actually a cool choice as it has a very, very unique application method. Rather than just peeling off the adhesive side and slapping it onto your device, it comes with a spray-on adhesive which can be applied easily. Once applied, you’ll see no rainbow marks, no bubbles, and will be left with enhanced protection that is also case-friendly. It comes in a 2-pack so you can start all over again in case something goes wrong. 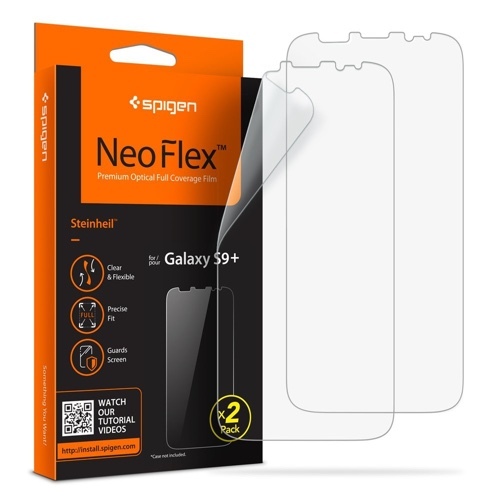 The Spigen NeoFlex will set you back $7.99. 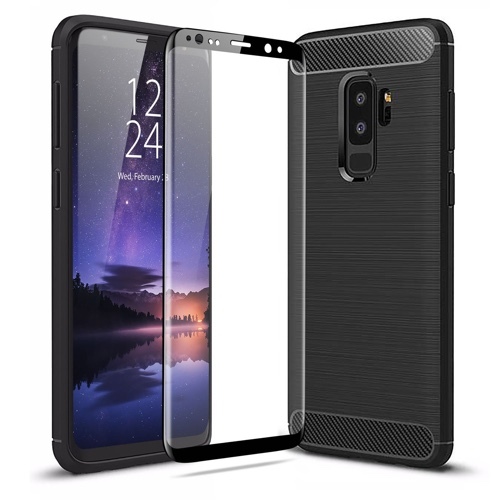 This is a glass screen protector that covers the entire front frame of the Galaxy S9 or Galaxy S9+, including the bezels. Other than that, this thing’s pretty tough. So tough that it can withstand a force of up to 11 pounds. That’s quite a lot if you’re asking us. This too comes in a 2-pack which is pretty nice. 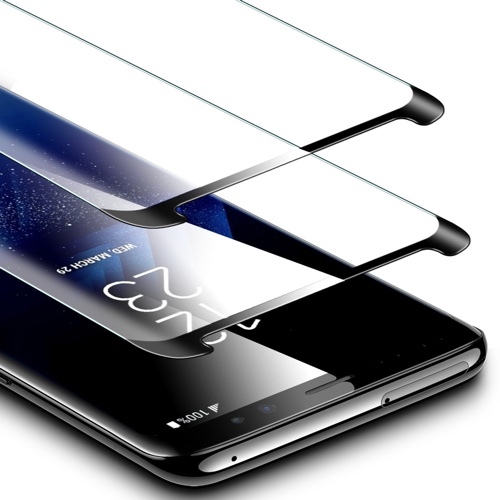 The ESR glass screen protector will set you back $9.99 for Galaxy S9 and $11.99 for Galaxy S9+. Just like the ESR screen protector, the Caseology one offers full-frame protection for the Galaxy S9. But, it offers slightly better quality along with 9H hardness, ensuring that those pesky keys, dirt or even a screwdriver will have nothing against your Infinity Display. That’s not all, it comes with guides in the box for easy application. 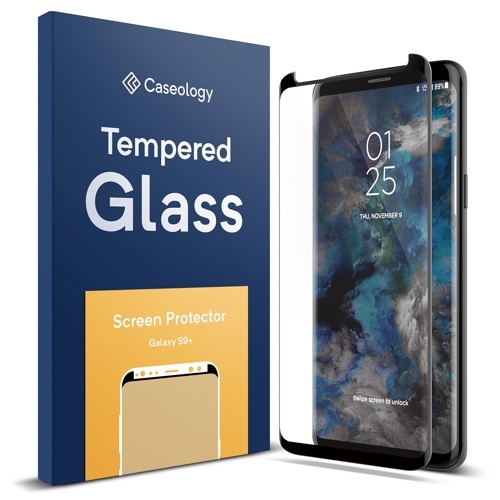 The Caseology screen protector will set you back $12.99. The only reason I’m adding this particular screen protector to the list is: it comes in a 3-pack for a price of just $7.99. That is insanely cheap given that it’s case-friendly, offers full-screen coverage including the bezels, and things are topped off with a lifetime warranty. All for just eight bucks! You know what this is? It’s a rugged case that ships with a glass screen protector from Olixar. We’re totally not making this up. This is a very good value for money deal that offers protection in one go. Should you get this? My vote is a yes! The Olixar Sentinel will set you back $29.99.